Being a Division I swimmer, I have ALWAYS wanted to do a water session with one of my couples. But it’s not the easiest thing to convince couples to throw on bikinis and go for a dip when the closet body of water is the Potomac River. I was lucky enough to capture Ellese & Dave’s proposal during their trip to Banff this summer. Since Ellese is a wanderlust like me, we naturally started planning our next adventure. Since we had our eyes set on Tulum, it was a cinch to snap some engagement photos during the front end of our trip when Dave could visit for a few days. We woke up at sunrise to snap beach pictures at Zamas resort. Ellese looks like a beach goddess in this black Lulus dress. We then wandered to CoCo Tulum to get in our suits and for a playful, romantic dip. Why YES, I also got to shoot this session in my bikini! 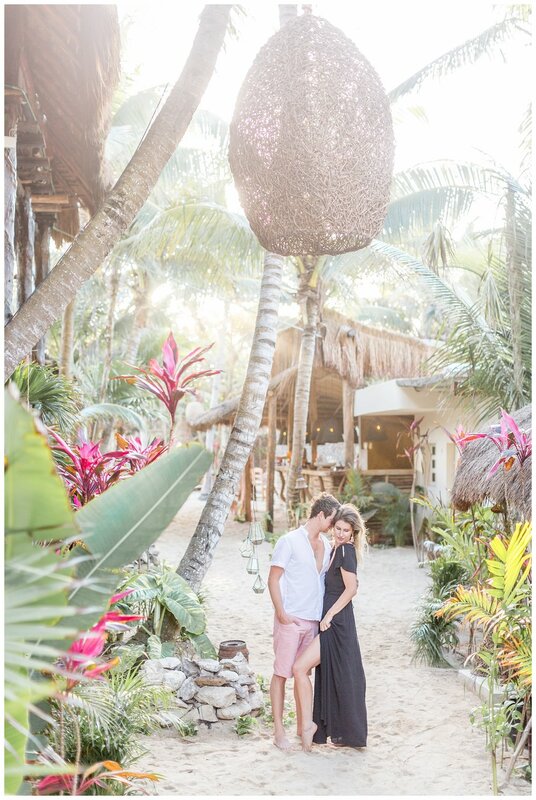 Here are my favorite images from their beach engagement session in Tulum!